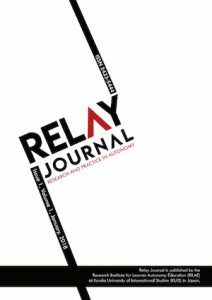 Relay Journal operates a post-publication peer review system. This means that after a brief screening, submissions are accepted and they undergo editorial review by members of our editorial team. Suggestions are then sent back to the author regarding language, formatting and content. The revised papers are published on the website and open for peer review. Reviewers not anonymous and are selected to read selected papers and publicly respond to the authors with questions and constructive suggestions. The authors are free to respond to the reviewers (again, publicly) and revise their submissions if they wish. The purpose of this process is to promote dialogue in a collegial and transparent way. The pre-reviewed versions of the papers and the related dialogues will remain on the Relay Journal page. The final revised paper will be made available as a paginated PDF document that is appropriate for printing and citing.